packages and get the real experience. Oktoberfest is probably one of the most famous events in the world. What started off as a wedding celebration in 1810, has become the biggest Volkfest in the world. Every year, more than 6 million people flock to Munich in order to enjoy the Bavarian lifestyle, all dressed up in Lederhosen and Dirndls. The dates can be quite confusing, as most of it takes place somewhere in September. The 21-day festival traditionally ends the first weekend of October, so the first 2 weeks are all in September. As we have been organising the Oktoberfest trip now for over 8 years, Yes-Trips knows exactly how you are supposed to celebrate it. We will take care of your ultimate Oktoberfest experience. Set up the perfect package for you and your friends with these options. Our ESN Oktoberfest campsite can help you with an affordable place to stay close to the festival. Join us by busses departing all over The Netherlands, Switzerland and Belgium or meet us directly in Munich. Don't want to get up early to get in line? Don't worry, you can add a table reservation as well! Stay up to date on the packages offered and sign up for the newsletter. Together with all the Dutch and Swiss ESN sections we have set up a budget friendly campsite in Munich. The tents are completely equipped with an air-mattress and sleeping bag so all you have to do is show up and get comfortable. Want more info? Find it on the following link! 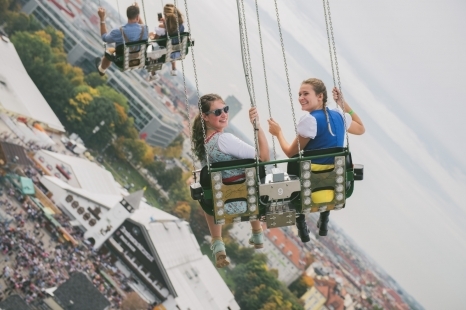 With 10 years of experience Yes-Trips knows how to enjoy Oktoberfest in the best way possible. Sign up now and receive more information when bookings become availabe. This way you won't miss out again! Such a great way to do Oktoberfest. We had a blast and we didn't have to think about anything other than what tent we were going to drink in and what ride we wanted to go on. The staff was so much fun and truly got us excited for what was to come of the weekend! This project is brought to you by Yes-Trips, the specialist in trips to unique events and destinations. In the last 7 years, more than 10 000 people have joined us on many unforgettable experiences and trips.